Although most oak trees are capable of blooming acorns at approximately two decades of maturity, the majority produce the seed with vigor between 50 and 80 years of age; production falls off drastically as the tree nears a century of growth. A young acorn blooms in an oak. Oak trees begin to bloom in the spring as rising temperatures encourage fresh leaves to unfurl and flower buds to expand. 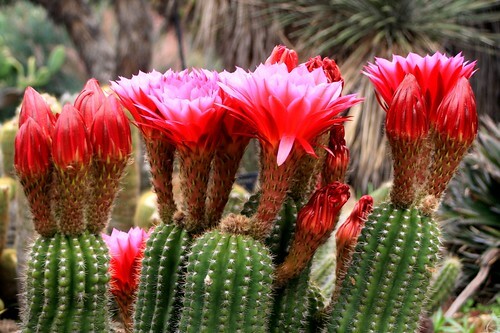 Different segments of the species bloom at their own pace. 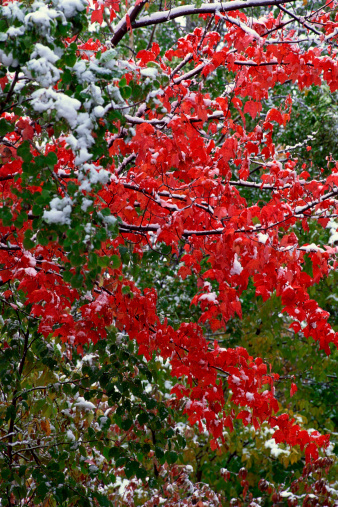 "Red oaks tend to flower about two weeks earlier than white oaks," reports the University of Tennessee Extension service. Oak trees are monoecious, meaning that both male --staminate -- and female -- pistillate -- flowers reside on the same tree. Male blooms tend to be the most visible and, normally by April, they produce long, worm-like entities that droop downward from the base of new branches. The male flowers emit a pollen that allergy sufferers often notice by mid-April. The oak tree continues to bloom with male flowers from surrounding trees pollinating adjacent female flowers. Six ovules at the bottom of each female flower contain eggs and, eventually, one of these egg containers will become fertilized and bloom into an acorn. 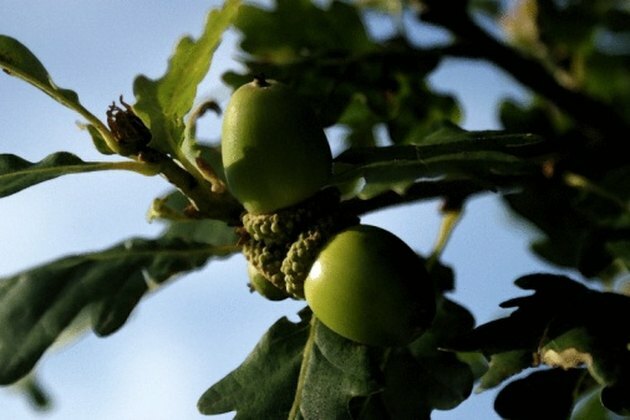 The majority of oak trees begin producing acorns at 20 years of age. How Long Do Maple Trees Shed Their Seeds? 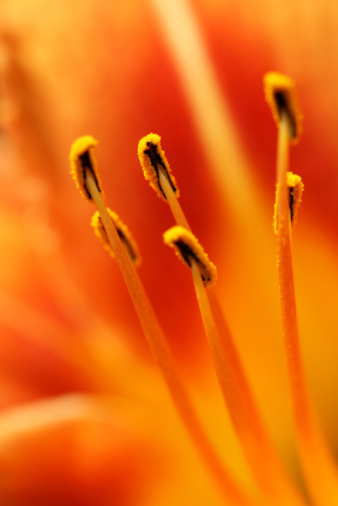 What Is the Function of the Anther on a Flower?